The collaboration between DESIGNSUMISURA and the famous baby brand started with this project. DESIGNSUMISURA redesigned the traditional booster seat, a type of seating which allows growing toddlers to sit at the table with adults. The company required a booster seat featuring easy to adjust height positions and compact, lightweight and portable product for easy storage and transport. The seat features a perfectly compact shape, slightly squared design, which is toned down by its rounded edges and bicolouring effect with contrasting colours on the inside and the outside “shell”. 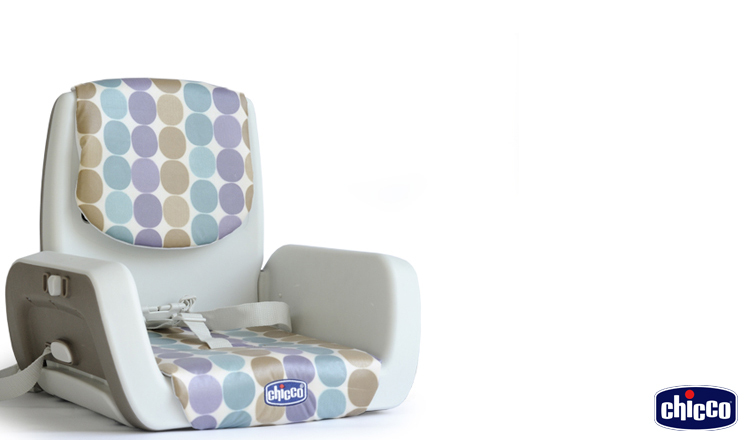 The project was developed with small improvements on height adjustment (by raising or lowering feet which are integrated in the seat’s structure) and on the seatback (allowing to fold completely the booster seat shaping it as a bag to facilitate its transport) and also on the feeding tray, which can be adjusted sliding it backwards and forwards to suit child’s needs. All adjustments comply with safety norms and are designed to be intuitive and simple for consumers. This, in fact, is the guideline DESIGNSUMISURA adopted from the beginning creating a stylish but also high performing product. 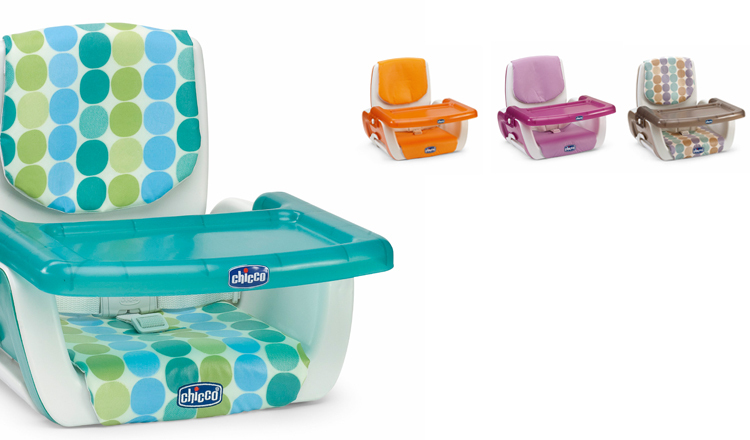 The design of Chicco MoDe was developed alongside a specific CFM study (colours, finishings and materials) to provide different image strategies to the client based on a range of colours, finishings and details. 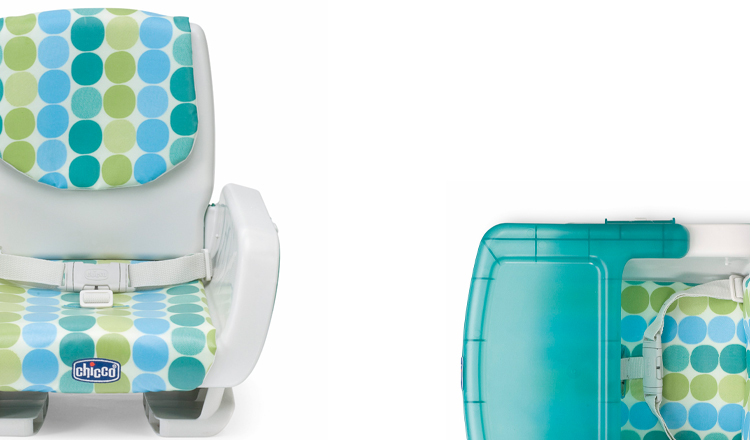 As an outcome, the final product is styled by a printed padding coming in coloured or “optical style” textures which adds an elegant touch to the booster seat. Baby, children and infant care product design and study.